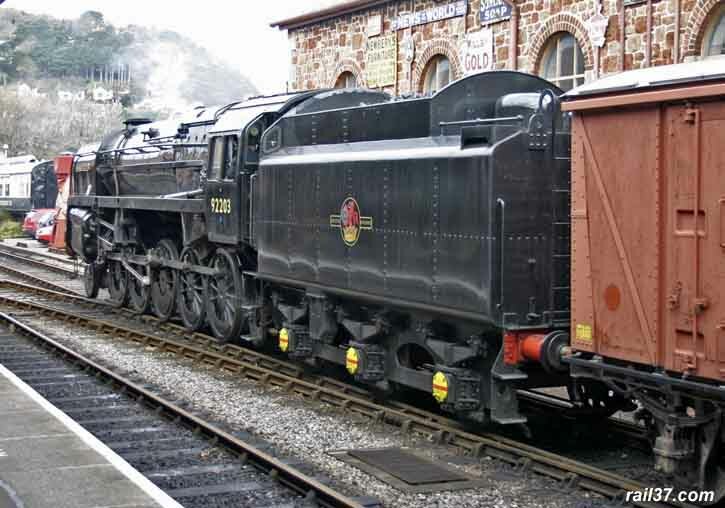 My third visit to the West Somerset Railway and this time with the invitation to ride on the cab of 80136 from Minehead to Bishops Lydeard and back - who could resist that temptation? 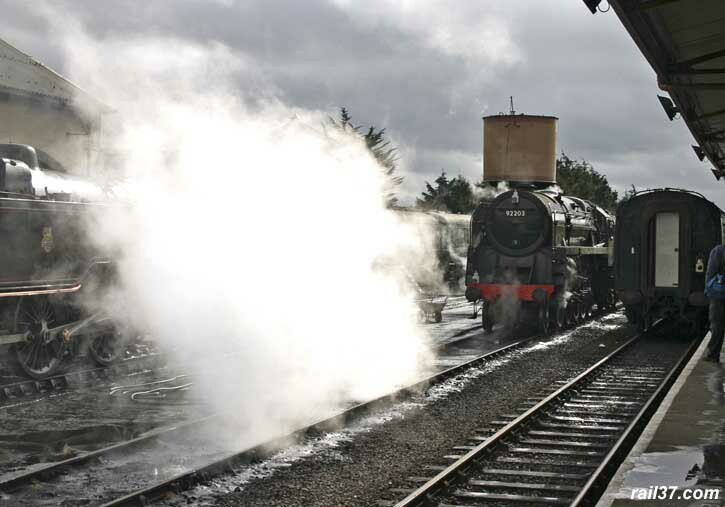 Arrival at Minehead was initially dampened by the weather but the sight of 92203 "Black Prince" in steam soon had the sun shining. 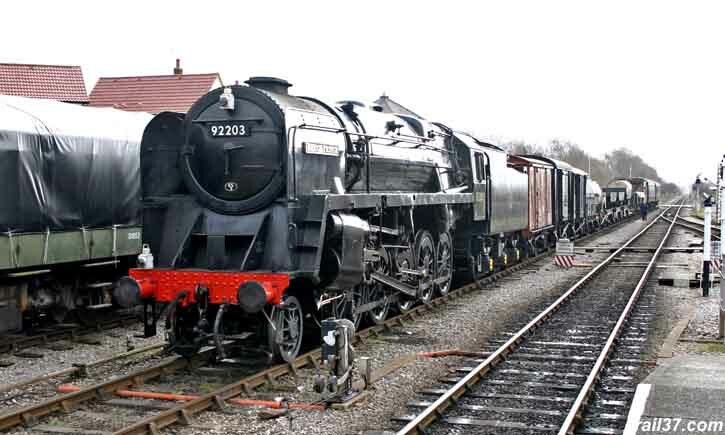 92203 was on a demonstration goods train shunting up and down the yard. 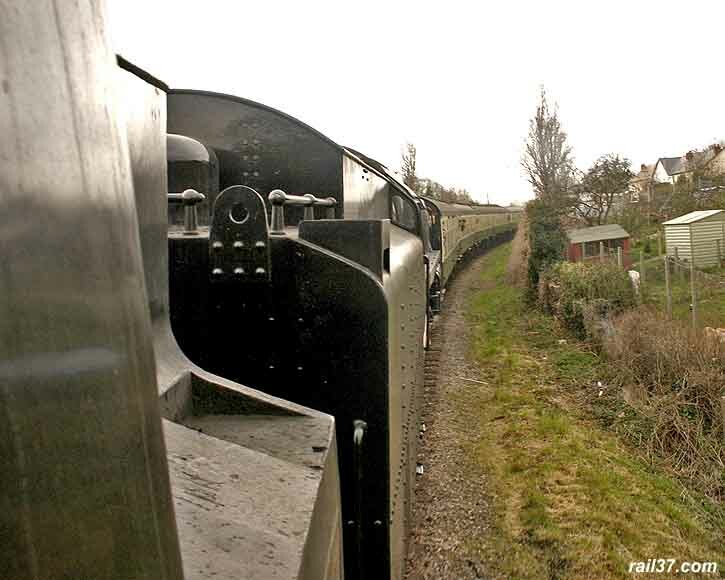 This was how the 9F's would pass through at speed but not normally so clean. 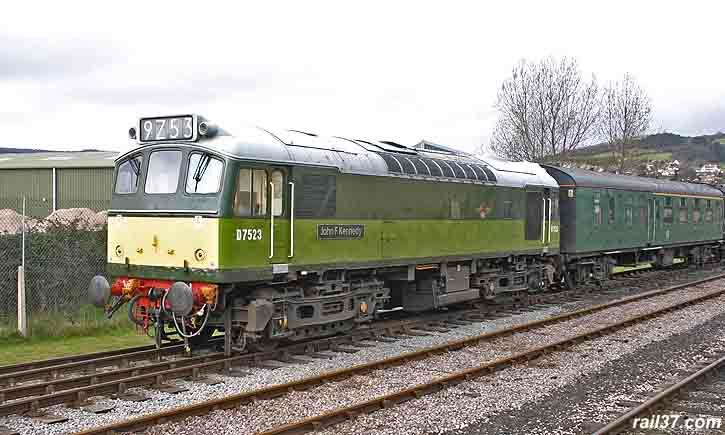 Recent acquisition 7820 "Dinmore Manor" awaits restoration at Minehead. 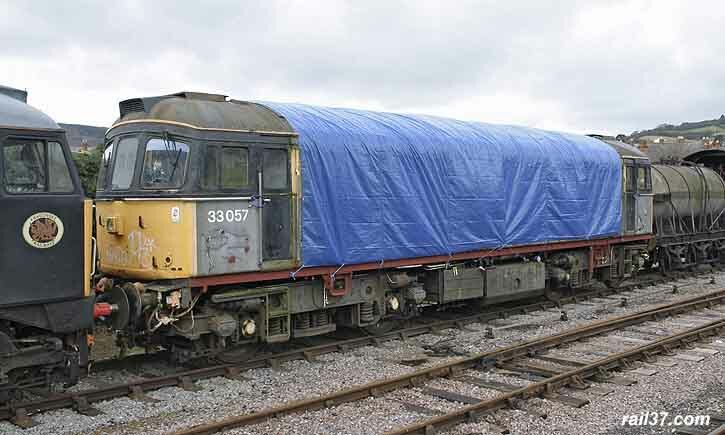 Also awaiting restoration is 33057, sister to 33056 which has a less favourable fate awaiting it on the Churnet Valley Railway. 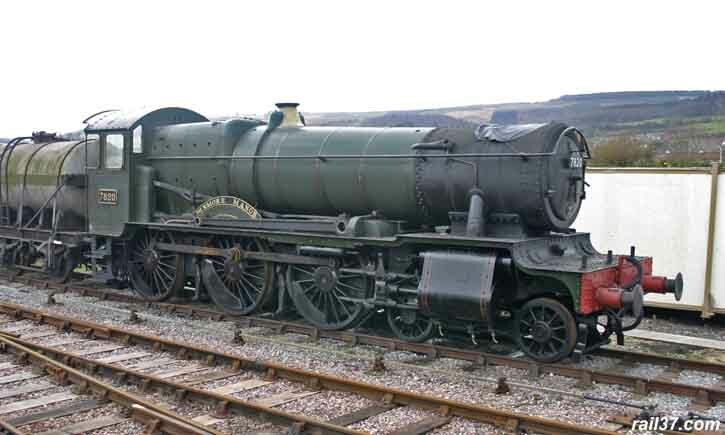 "The Lincolnshire Poacher" charter on 17th June 2005. 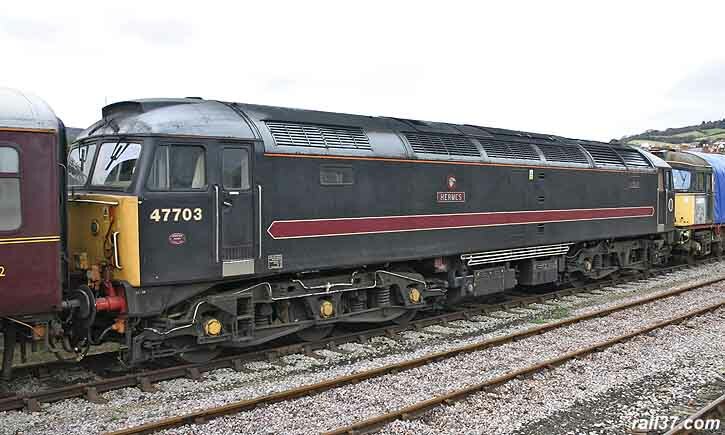 The last time I saw this one was on the main line heading towards Crewe from the Manchester direction - many years ago and no photo. 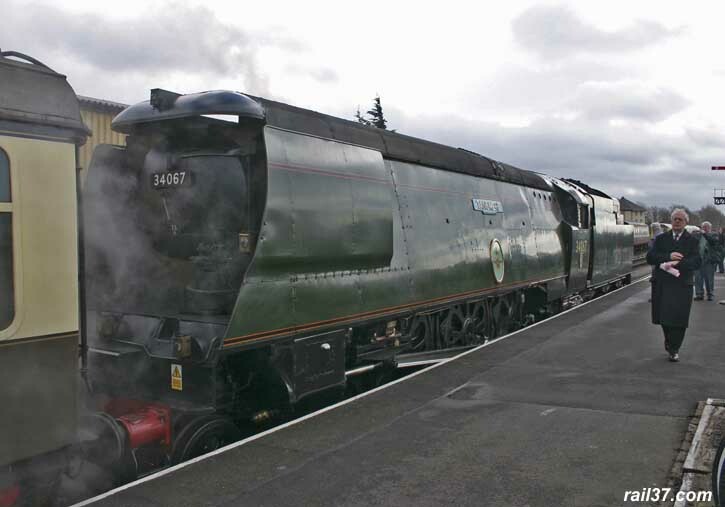 "Tangmere" waiting to leave for Bishops Lydeard. 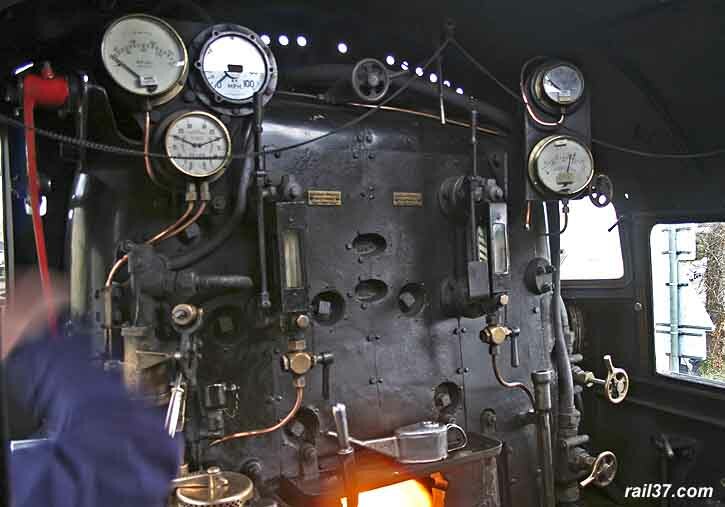 On the cab of 136 which, a couple of weeks ago was in Crewe for remedial attention to its boiler. 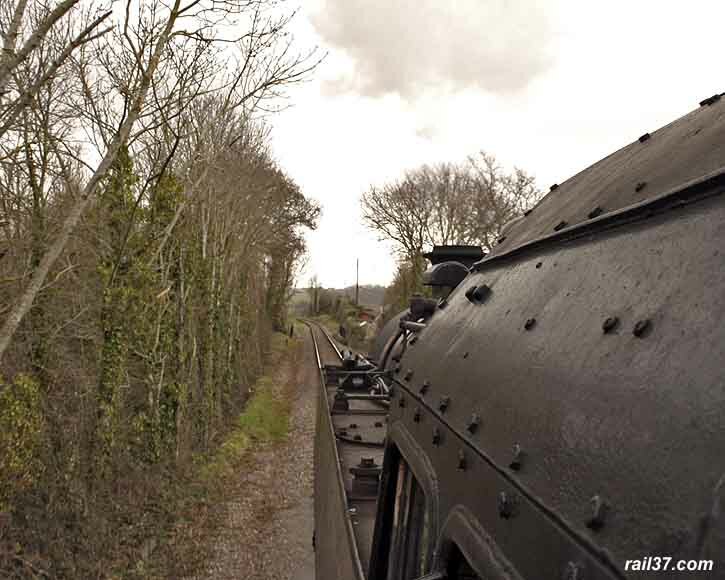 We're off and a clear road ahead. 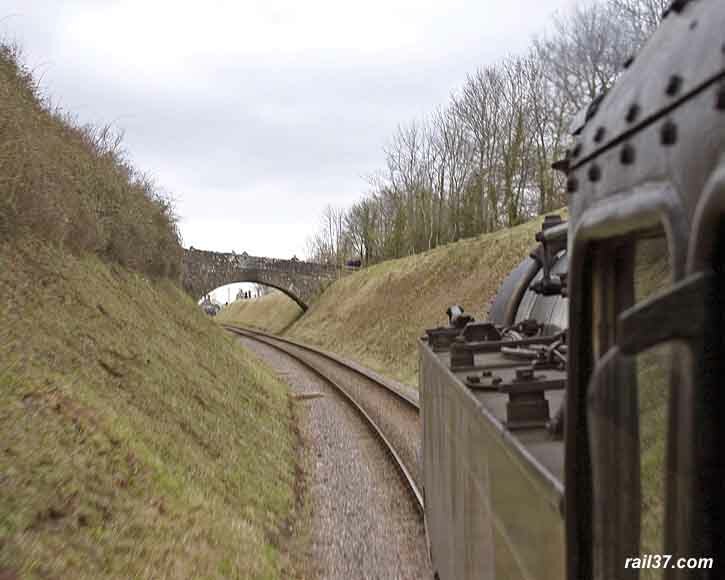 What an amazingly different perspective of the line when viewed from the cab. The weather was disappointingly awful but that didn't seem to have deterred the dozens of photographers lining the route. 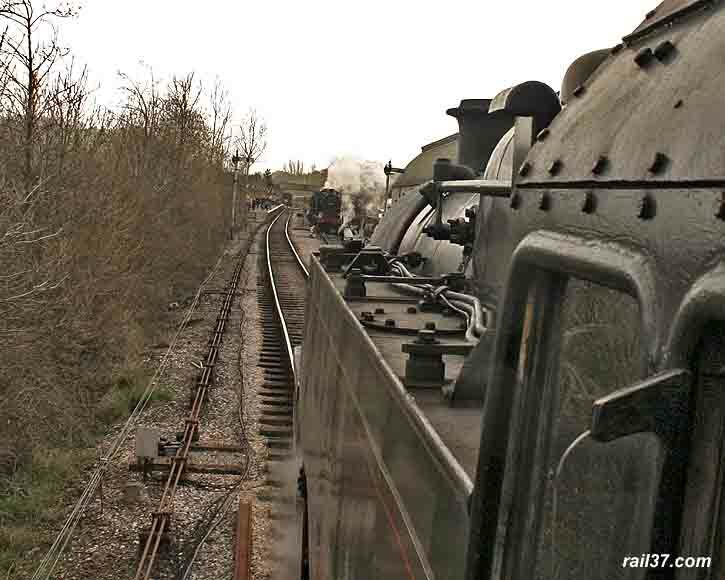 We were in the company of 92203 which was coupled tender-to-tender behind us. 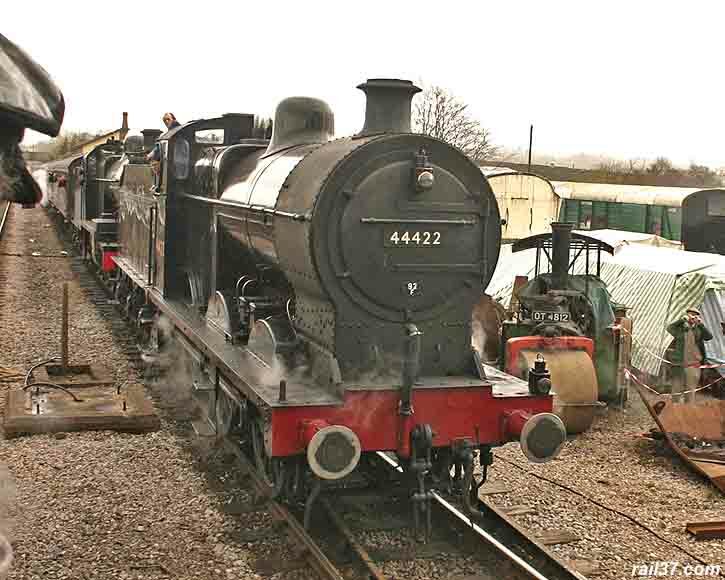 Could that be class 4F number 44422 in the distance? 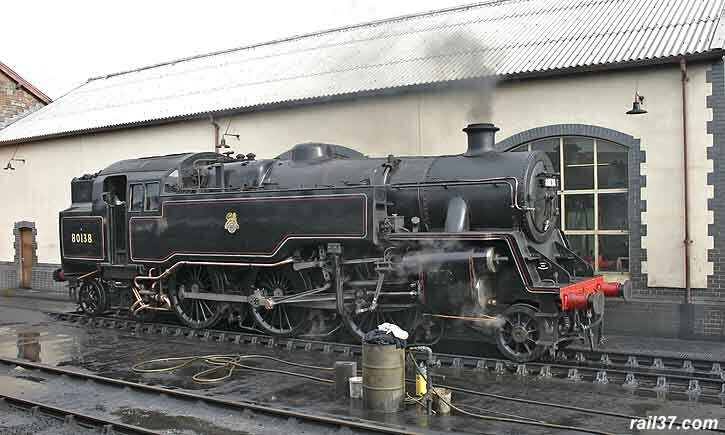 and is currently based at Bury on The East Lancashire railway for the 2006 season.